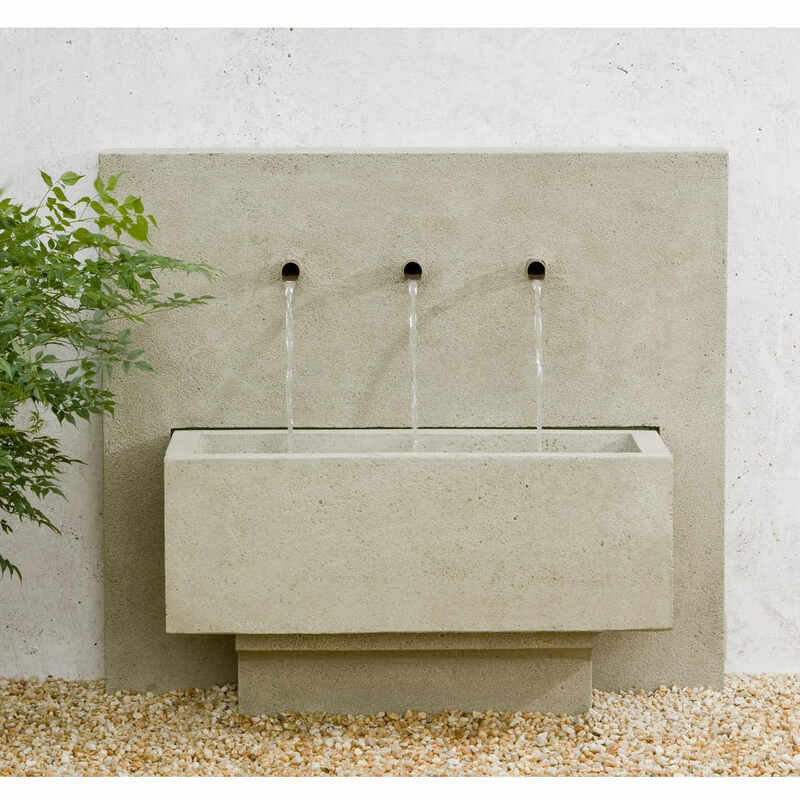 The very simple, clean lines of the X-3 fountain give it a very stark modern feel, but the little feathered friends make it warm and inviting. The X-3 Fountain features three copper spouts that empty into the rectangular basin below. This is the perfect fountain for drowning out city or traffic noise. L 36" W 16.5" H 32" | 504 lbs.